1.) In a large bowl add your sugar, milk, yeast and mix together well. Let it rise for 30 minutes while covered with a cloth. Continuing add olive oil and mix again. 2.) Add your melted butter, sour cream, eggs, and vanilla sugar. Again mix together well. 3.) 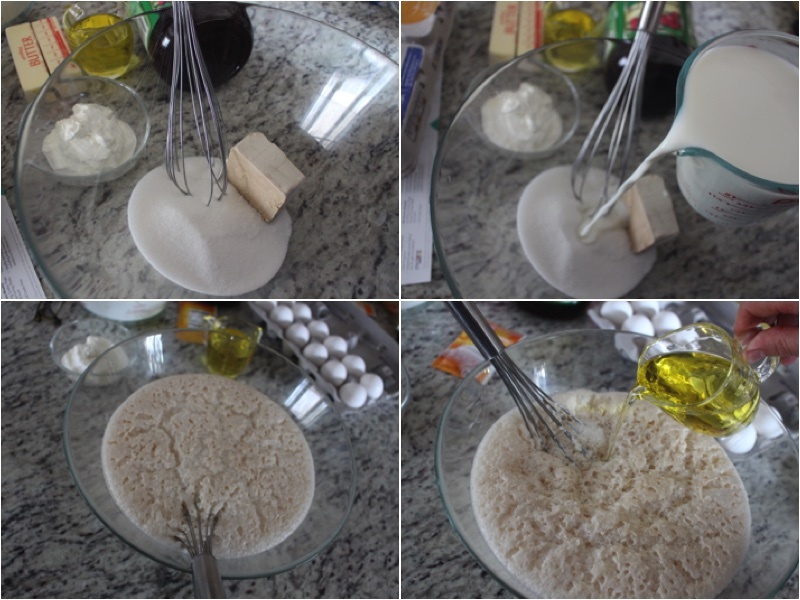 In a large mixing bowl add your sifted flour and then add your other mixture. Kneed until you have a dough. Let it rise for 1 1/2 Hours while covered with a cloth. 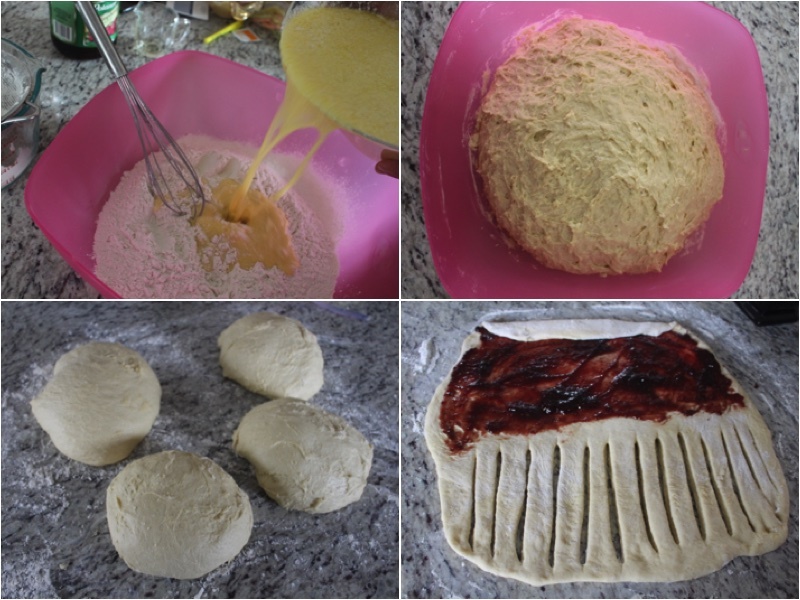 Split your dough into 4 equal pieces. 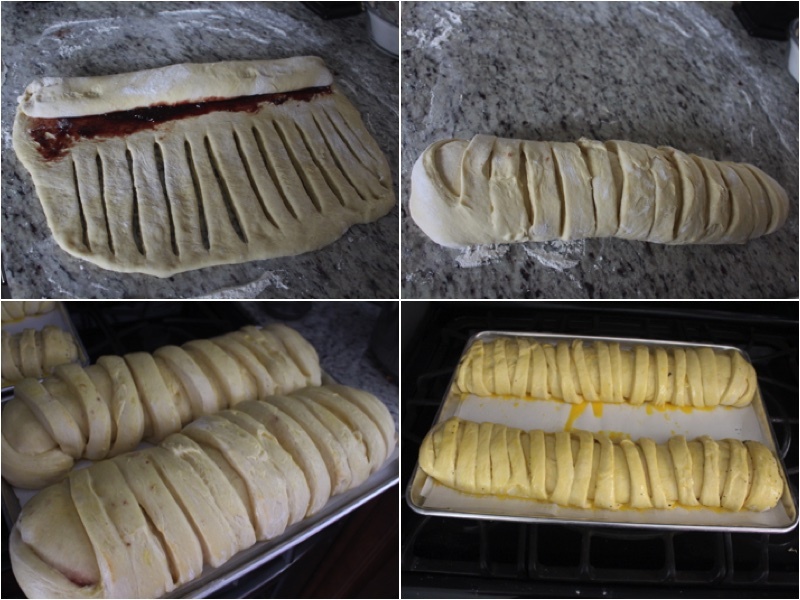 Take one piece, roll it out and make cuts on the right side, then using a spatula coat the left side with raspberry preserves. Do this to all 4 pieces of your dough. 4.) Start rolling from the left side until you have a roulette. Place on a baking pan with parchment paper. Mix your eggs with your milk for the glaze and cover the top with it. Bake for 40 minutes on 350ºF. Place on a serving dish and enjoy! In a large bowl add your sugar, milk, yeast and mix together well. Let it rise for 30 minutes while covered with a cloth. Continuing add olive oil and mix again. Add your melted butter, sour cream, eggs, and vanilla sugar. Again mix together well. 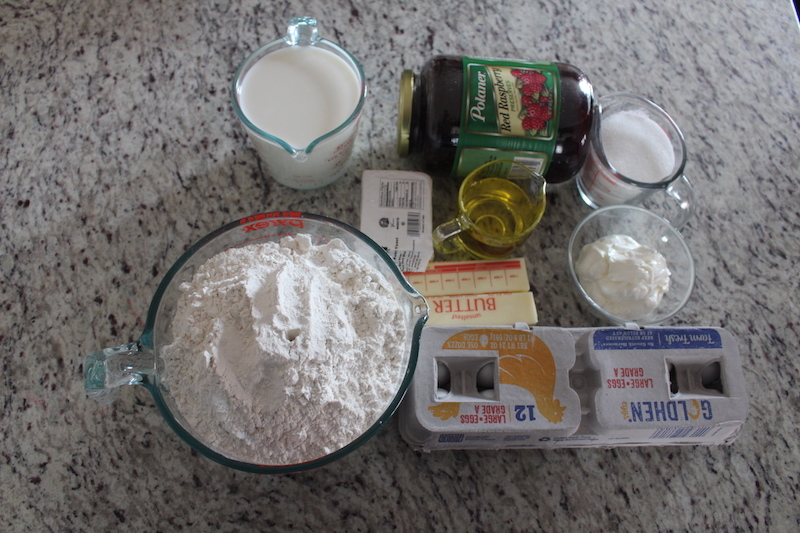 In a large mixing bowl add your sifted flour and then add your other mixture. Kneed until you have a dough. 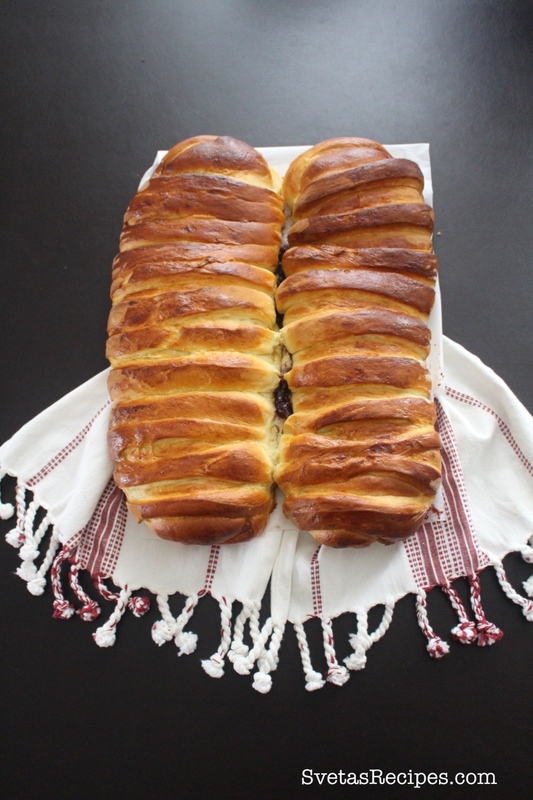 Let it rise for 1½ Hours while covered with a cloth. 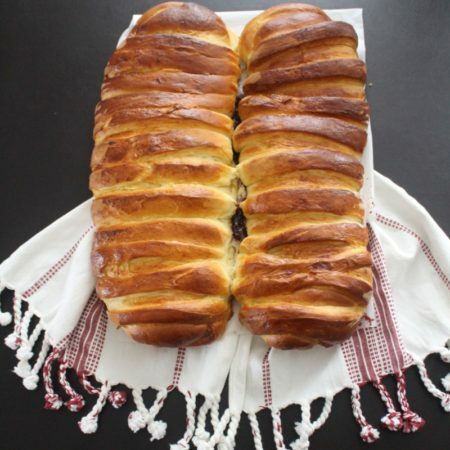 Split your dough into 4 equal pieces. Take one piece, roll it out and make cuts on the right side, then using a spatula coat the left side with raspberry preserves. Do this to all 4 pieces of your dough. Start rolling from the left side until you have a roulette. Place on a baking pan with parchment paper. 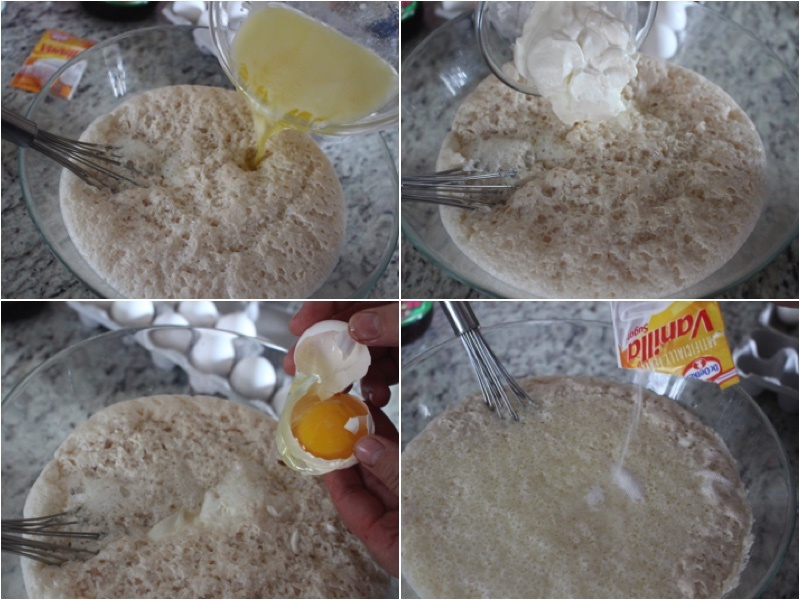 Mix your eggs with your milk for the glaze and cover the top with it. Bake for 40 minutes on 350ºF. Place on a serving dish and enjoy! I’ve never noticed if vanilla sugar is in our stores (Minnesota), but I’ve heard I can make it. Could you please tell me how much is in the packet you use for this recipe? Thank you! Each bag contains 0.32 oz or 9 grams.